Bill Ackman spent eight pages of his presentation (100 to 107 inclusive) covering the issue of shipping surcharges. His argument was that the retail margins were misstated because customers had to pass along a 7 percent shipping charge. The issue Bill Ackman raised concerned me. (1) During the second quarter of 2013, we simplified our pricing structure for the North America region by increasing suggested retail prices and reducing total shipping and handling revenues by a similar amount, eliminating a “packaging and handling” line item from our invoices to distributors. We do not expect these changes to materially impact our consolidated net sales and profitability. We anticipate extending these changes to additional markets in future periods. As a long investor it is encouraging to see perceived deficiencies being appropriately addressed. As many know - Bronte Capital - the asset manager - has advertised for their first employee. I have gone through my email fairly carefully and I should have replied to every single application although more than 200 in the negative. I found five applications in the "junk mail folder" and I fear I may have missed a few others. If I have not replied to you please resend to brontecapital@gmail.com and make sure you get a reply. If you are interested enough to consider working for us and devoting a good part of your life to Bronte then we owe you the courtesy of a reply. (c) business analysis [mostly for looking at longs]. I will consider someone who does the computing part well but is cheaper (which probably means younger). I would probably hire a young, entrepreneurial computer geek who wants to be taught the business analysis stuff - especially if they were Australian based already... If I get someone like that I can spend more on the next employee. Above all else I am interested in intellectual firepower (I want to hire people smarter than me, especially in the computer task) and the ability to actually implement this stuff. *I have high standards. One senior Silicon Valley executive I tested on the questions suggested that he knew several people under 30 who meet my criterion - but they are mostly going to wind up worth 100 million dollars - and that a surprising number worked at Facebook. He thought I was being unrealistic. Aalaya Walker (Florida - Aged 18) was shot (but only slightly injured) when she pre-heated her friend's oven. She was wanting to make waffles. Her friend, who obviously did not cook much, kept the ammunition in the oven because it was safe there. There are lots of people in America who don't cook or can't cook and have never learned how. Real estate agents tell stories of people with beautiful appliances who keep all the manuals in the oven because they too never cook. Many of these people eat a lot of fast-food, are overweight or modestly unhealthy and they miss the family or social aspects of sitting down with a nicely cooked dinner and a couple of bottles of wine and for that matter - perhaps getting plastered. It is of course the 8 friends and four bottles of wine that makes this really work. This lot makes one of those wonderful French provincial dishes (peasant food) that all my hedge fund manager friends have presented to them as Haute Cuisine. The whole thing can be cooked in twenty minutes (see Jamie Oliver's 15 minute version below). But the "consultant" takes thirty five minutes to cook, giving friendly cooking tips along the way - and sloshing down a little wine. Also they explain the cookbook has lots of other wonderful and easy recipes. Then they sit down and eat it. To someone who holidays in the South of France and eats in French Bistros this is just a darn nice meal. But to someone whose diet consists of fast food its a revelation - exotic beyond belief. Just so tasty. And as the wine gets consumed, cook, books, fry-pans and other things are sold. If all is going well desert gets cooked, mostly at the table. Some eggs are separated and whipped up with sugar. The meringue is dumped in the oven (after the ammo is taken out). Some cream is whipped, strawberries crushed to make a coulis, and Eton Mess is served in nice glasses. All that cooking equipment is sold too. This is a real business, it really adds value and it is fun. Hell I would even go but I suspect I have enough frying pans... it is far less exploitative (and far less unreasonable) than a Tupperware Party. It is hard to argue that the above scenario is exploitative even if the frying pans are sold at three times fair value. Indeed Doris Christopher who founded the Pampered Chef originally just purchased the kit at The Merchandise Mart in Chicago and marked it up three times. Walmart cannot sell frying pans this way because they can't get into peoples homes and explain how they are used. In this case what is being sold is "community" - and it can't really be sold any way other than MLM. MLM is a pathway into the community that is not available to a conventional corporate. The dumbest part of Bill Ackman's presentation (and for a smart man he can be so stupid) is where he complains that Herbalife products are unreasonably priced - and describes the product as a commodity. Doris Christopher purchased commodity frying pans at Merchandise Mart. What she sold was something else entirely. This is all fairly instructive on what makes an MLM a societally value accretive business. Its a good business if it works out how to create value out of community. In that case the MLM really is doing something that conventional retail can't do - and if they capture profits - even considerable profits - doing so - that is just normal business. But MLMs are not all good - and the critics do have something to say. MLMs do leave a trail of disappointed distributors - and they are not hard to find. The Pampered Chef "consultant" who runs the above party may or may not be disappointed if the parties only make her a few thousand dollars "supplemental" income a year. After all she probably likes to cook, likes parties, likes meeting new friends and has a good time doing it. The fact that she does not get rich - or even earn minimum wage per hour for this - is not really material. It may be lightly profitable but good fun. My guess is that the profit share belongs disproportionately to Berkshire Hathaway - and that is the way Uncle Warren likes it. But it is also the way the world is. There is a problem however if the consultant has to buy tens of thousands of dollars worth of frying pans to sign up as "consultant". She may never recover her investment. I have not talked to many "consultants". There may be a few out of pocket - but I doubt it is tens of thousands of dollars. When you read the profiles of The Pampered Chef's Kitchen Consultants in Chapter 8, you may wonder what you are doing in your nine-to-five cubicle while these folks are happily cooking their way to fame and fortune. Warren: despite your (well deserved) reputation for integrity this is BS and you know it's BS. You are vanishingly unlikely to find "fame and fortune" as a Pampered Chef Kitchen Consultant. But misleading consultants is only one of the things wrong with MLM business models. The main other thing wrong is decentralized law avoidance. 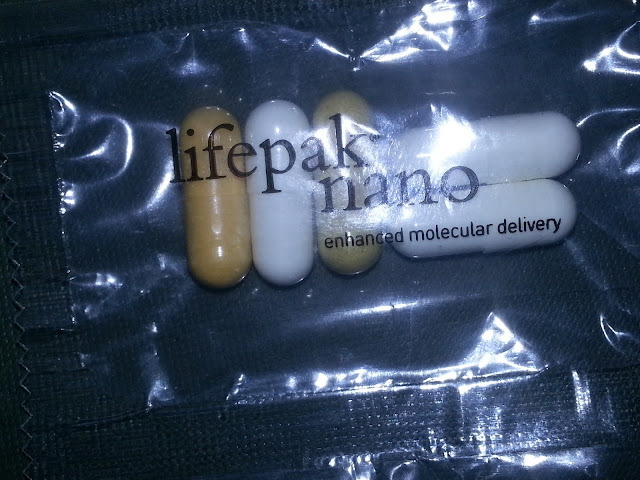 The company is careful on its website not to produce any literature that violates Food and Drug Administration law. You can't sell pills in America in breach of FDA rules without risking unpleasant legal complications. But this is an MLM - and you can bet the distributors are not so careful. These little pills are sold as miracle cures - and Nuskin distributors are the snake oil salesmen of old - blithely violating FDA law and desperately difficult to prosecute because the sales force are not employees of the company. Decentralised law avoidance is a feature of many MLMs. To my knowledge it is not a feature of The Pampered Chef. The Herbalife sales people I have visited have stuck extremely closely to the company provided (and legally vetted) sales scripts. In the cases I saw that sort of decentralised FDA avoidance was not an issue. But the Herbalife clubs did not always have cash registers and they did not always have the little A+ or similar to indicate that they had complied with health laws (even though they sold food). In other words there was some low-level decentralised law avoidance. I am happy to concede that The Pampered Chef is the gold-standard for MLMs. It makes its money because it packages community - indeed community rather than frying pans is the product. 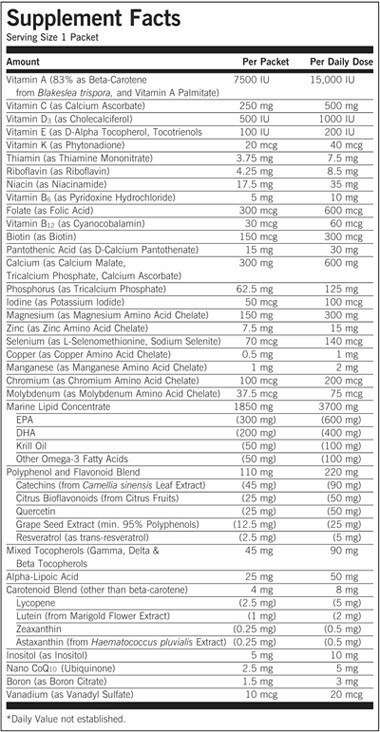 Where is Herbalife in this? 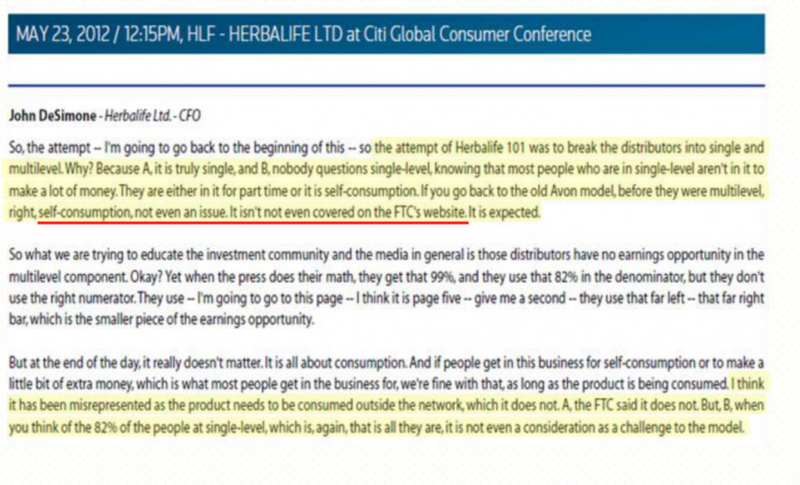 I haven't seen much decentralised legal non-compliance with Herbalife. Maybe a little around the edges - but it is not the reason the business works. 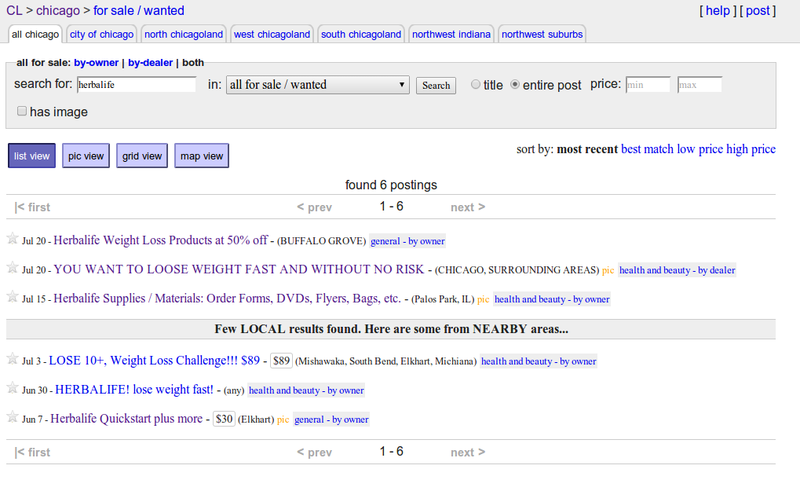 The reason the business works is that diets require community to sell. 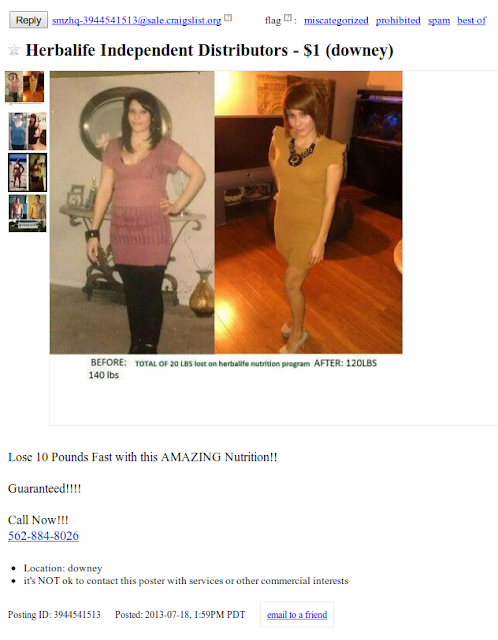 In that sense Herbalife is far closer to the gold-standard Pampered Chef than say to Nuskin. I have more than a few problems with Herbalife - not the least is the (huge) amount paid to the CEO. 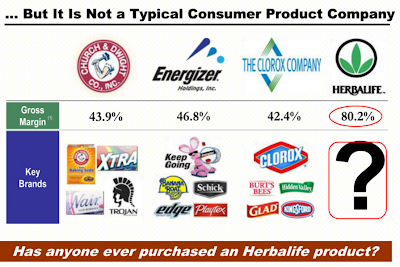 But Herbalife is fast growing and deeply embedded in communities selling products that need communities to sell. Relative to The Pampered Chef it is easy enough to find disappointed Herbalife distributors - especially in the Hispanic Community. However there are few around here - and the Herbalife business is growing again in Sydney (despite Bill Ackman's claims of pop-and-drop collapses). 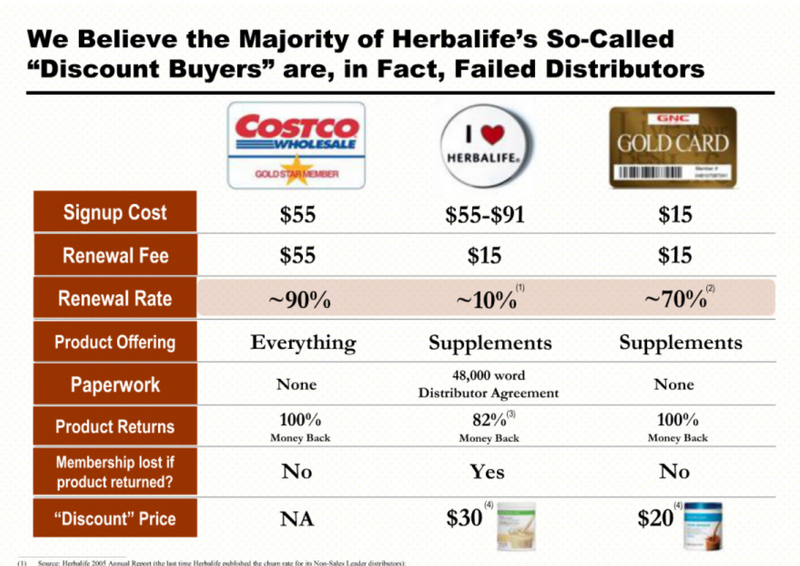 Speaking as a shareholder here - Herbalife has been plenty happy to pay dividends and buy back stock. Over the years it has repurchased (literally) billions of dollars in stock - and the share count has reduced considerably. The shareholder-friendliness is - CEO pay notwithstanding - at the better end of America. And Herbalife is growing. I am not a lover of the MLM business model and I was (very) surprised when Berkshire purchased The Pampered Chef. 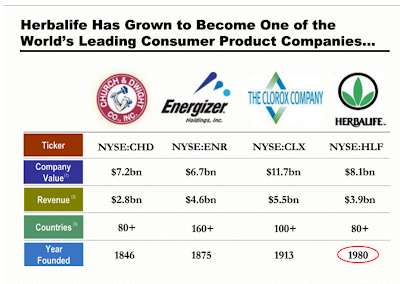 However why Bill Ackman chose Herbalife to fight to the death - that escapes me. "When you read profiles of the consultants [sales people] you may wonder what you are doing in your nine-to-five cubicles whilst [the consultants] are on their way to fame and fortune". 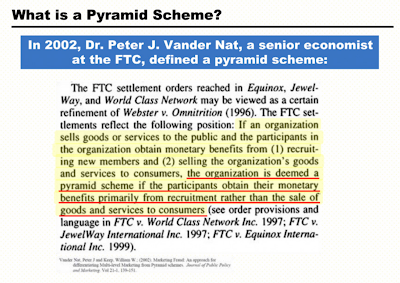 These statements of course are ample evidence that Herbalife is not really selling product but selling a fraudulent "business opportunity" and is in fact a pyramid. Except that I am playing a game of misdirection here. 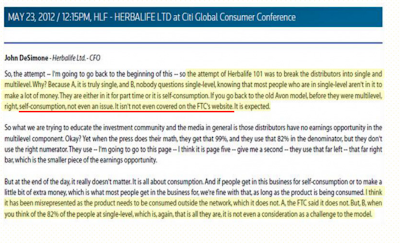 These statements are not about Herbalife and they have not been criticized by Bill Ackman. They are the statements about another multi-layer-marketing scheme - "The Pampered Chef" and they are made by none other than Warren Buffett. Warren Buffett (through Berkshire Hathaway) owns The Pampered Chef and its 60 thousand plus "consultants". In a future post I plan to talk about why The Pampered Chef is a business worthy of being owned by Berkshire - why it meets Warren Buffett's (very high) business quality hurdle - and how Herbalife has some, but not all of the properties of The Pampered Chef. But for the moment I want to note a few things. (a). Herbalife and The Pampered Chef were both founded in 1980. 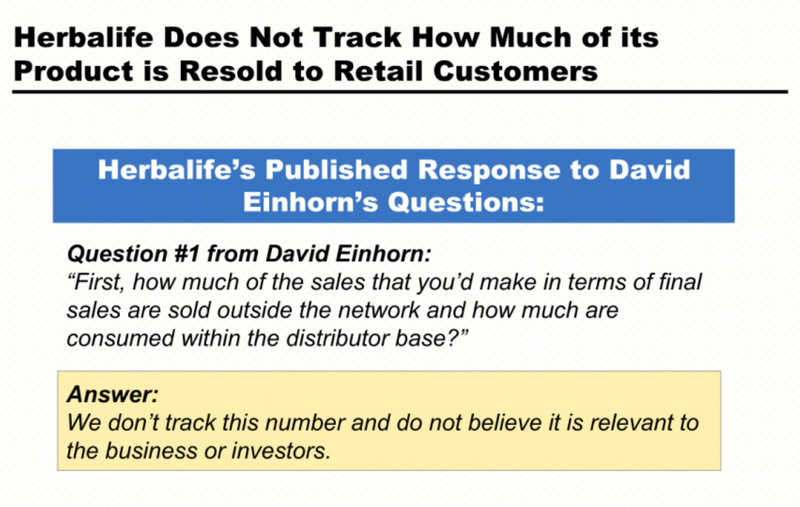 Bill Ackman criticized Herbalife for being a recent company founded in 1980 - see this screen shot from Bill Ackman's presentation. (c). 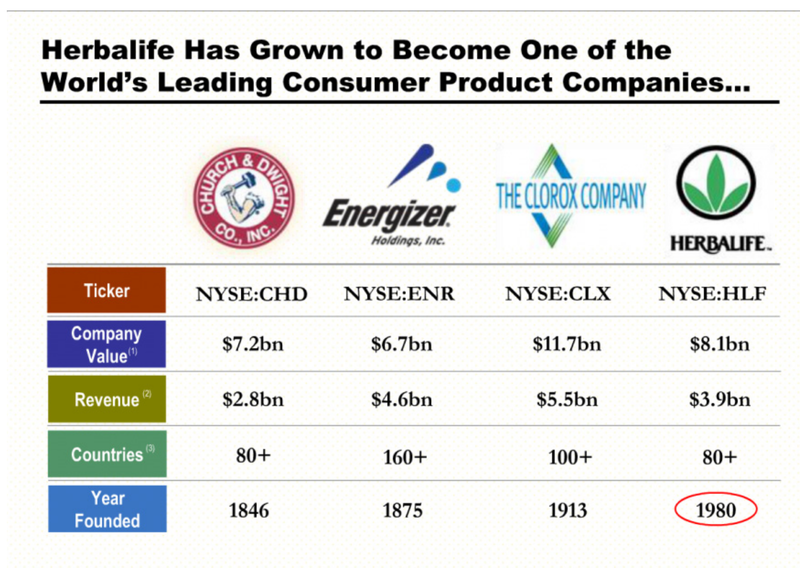 Herbalife is growing at a high rate both relative to its past and relative to The Pampered Chef. Indeed if you look at Google Trends data Pampered Chef is in a slight decline but Herbalife has more interest than at any time in its history. In the following chart (courtesy Google) Blue is Herbalife searches, Red is "Pampered Chef". 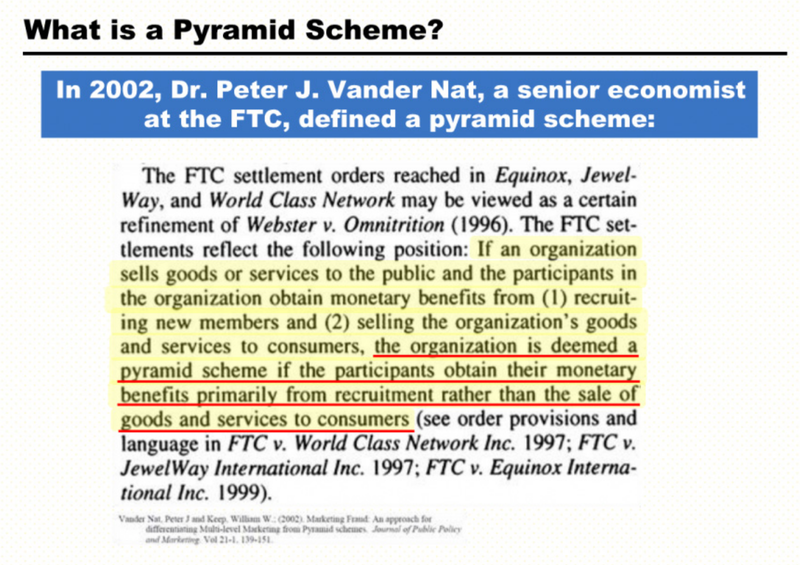 Pyramid schemes are expected to collapse under their own weight - and so if Bill Ackman is right it shouldn't matter what I say. But if Google Trends data is right then Herbalife is likely to beat estimates maybe offset a little bit by the strong US Dollar. When I was in my twenties I lived in outer North-Western Sydney for a year - mostly around Kurrajong. Multi-level marketing schemes were part of the environment - but two stood out: Amway and Avon. 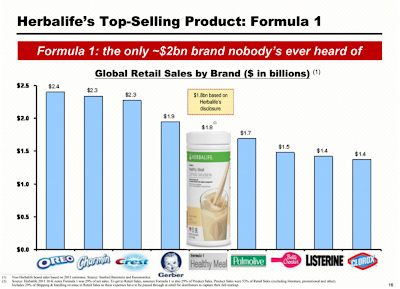 Amway sold stupid and overpriced products which were direct substitutes for things that you could buy in a supermarket. I remember overpriced washing powder - and that is still there. (Check out this link where you can buy washing powder at 27 Australian Dollars per kilogram!) The Amway sales people (at least the ones I met) were a collection of drug dealers and no-hopers. I think at least one used Amway for (im)plausibly arguing that they money they had in their pockets was clean (when it came from dealing drugs). You could probably buy weed from many of the local Amway dealers. I only met one Avon lady, a cheerful lesbian in her late 20s. She was (relative to the neighbourhood) quite prosperous and had an acre of land and horses. I briefly lived in a room attached to her stables. She was also (on her say-so but I have no reason to disbelieve her) the most successful Avon Lady in Australia. Her shtick was simple: Western Sydney is a land of long commutes. Wives were stuck at home 11 hours a day (8 work, 3 commute) with the kids, lonely and getting depressed. The cheerful Avon lady would drop by and the women would play like 14 year old girls putting make-up on each other but without the cattiness... and the Avon lady would with all the (considerable and genuine) enthusiasm a lesbian could muster tell the housewife she was beautiful. And it was - like all good sales techniques - entirely plausible. And she sold a lot of product. She sold (current dollars) well over quarter of a million dollars worth of product per year. 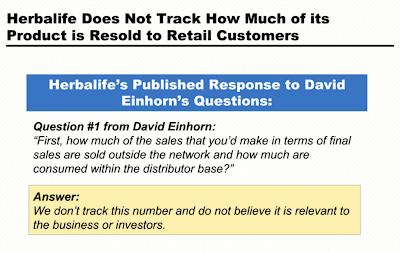 Now lets take Bill Ackman's rhetorical question about Herbalife and apply it to my Avon lady. 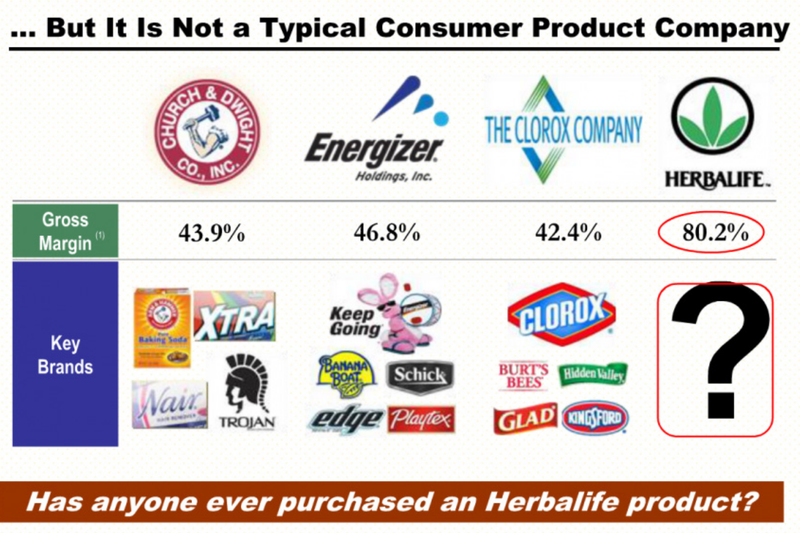 Why would any customer buy protein shakes or cosmetics from a Herbalife or Avon sales person when similar products are available online much cheaper? With Herbalife there is also clearly some of that. If I start a diet I am (statistically) not likely to stick to it. If I start a diet and exercise with a personal trainer (in this case preferably an attractive and cheerful individual who makes me feel good about myself) then I am probably more likely to stick to it (though still statistically likely to lapse). Now the average Herbalife sales person is probably less inducement than the hot personal fitness instructor (except where the Herbalife sales person is the hot personal fitness instructor) but the effect is real. I described the Herbalife club in Queens as like Alcoholics Anonymous for fat Hispanic men: "my name is Jose and I am fat". And like AA Herbalife adds value through community support. McDonalds has a reasonable business. Being a McDonalds franchisee is also not a bad business - and the franchises trade hands for real (and sometimes considerable) money. McDonalds would however never franchise four restaurants (if you want to call them that) within one city block. If they did they would all be unprofitable. McDonalds have a vested interest in their franchisees being profitable - profitable enough to keep the store clean, comply with labour and food safety laws and have toilets that don't stink. If the toilets stink and the food poisons customers McDonalds would fail. Because McDonalds have a vested interest in the profitability of franchisees a franchisee of ordinary skill can make a living with a franchise - probably even a good living. That is why the franchises change hands for real money. Multi-level marketers are different. MLMs simply do not have any control over the number of distributors. I might think that an area is saturated with distributors and that any more is foolish - but that is not going to stop you from recruiting - especially when you are paid as a percentage of distributor sales rather than distributor profits. MLMs will recruit until the profits of distributors go negative - sharply negative perhaps. If you find a profitable area as a Herbalife distributor (that is an area with lots of customers and limited competition) it will not remain profitable. Come back in five years - and there will be nine distributors none of which are making any money. The MLM structure almost guarantees that most distributors have terrible businesses. But it is worse than that. Your upstream distributor gets paid for recruiting you. And they get paid as a percentage of your sales - not as a percentage of your profit. They have an incentive to recruit you even if they know your business will be loss making. And they have an incentive to deceive you as to your prospects as a downstream distributor. And if one of them (ethically) decides not to deceive you other upstream distributors will not be so honest. And so the network of an MLM - any MLM - is - simply by incentives - driven to the point where most distributors make losses and are recruited on false promises. MLMs - all MLMs - are businesses that create and shatter the dreams of their distributors. High distributor failure rates does not make MLMs illegal. 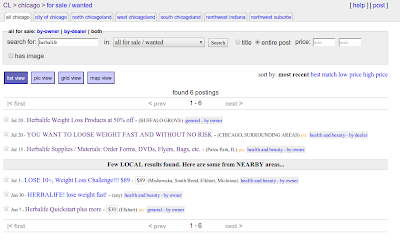 Indeed finding lots of failed distributors does not prove anything. It is to be expected - and there is no law that requires that everyone who opens a business - or even a majority of those that open a business make a profit. It does require however that a profit is possible because otherwise it would be misleading for the corporate to imply that the profit is possible. And in most MLMs a profit is possible. Just ask the Avon lady above - who made enough money to keep land and horses in outer Sydney. But the Avon lady had a shtick. It was a good shtick and hard to duplicate. It meant she succeeded where others failed. And it was clearly an exception. I have in looking at Herbalife found several profitable distributors. Indeed most the distributors around where I live are profitable albeit in a very small way. If you go down to Bronte Beach at ten o'clock on a Tuesday morning you will find fitness instructors keeping the local housewives in shape. The guys are bronzed and good looking. The women are the attractive thirty-something second wives of men rich enough to afford a house in Bronte. They are desperately conscious of their weight and appearance as they fear being traded in on a still younger model. And the fitness instructors not only sell fitness instruction and social reassurance [as in this bronzed guy tells them that they are attractive] but they sell weight loss products as well. Being a Herbalife distributor provides incremental revenue and little incremental cost. Its a good addition rather than being a good gig. And as noted above, a hot fitness instructor provides worthwhile assistance in weight control. Losing weight if you are 40lbs too heavy is hard. Most people who try it fail. This is true of weight watchers, being nagged by your spouse, having a personal instructor or being on Herbalife. Its true of all diets. One of the dumbest arguments I have heard (made insistently by StocksDD amongst others) is that the turnover in Herbalife customers/distributors is enormous and therefore Herbalife must be evil or at least burning the customers. I would love to see the customer retention rate scatter amongst Herbalife distributors (my guess is the average is low and the spread is wide) and say Weight Watchers (probably with a similarly low average and wide scatter). The people I have met who are the most convincing Herbalife sales people have lost a lot of weight and kept it off for several years. These people are I expect the exception. Turnover and failure would be the norm. PS. I am not so sure how you can be profitable selling washing powder at $27 per kilo. 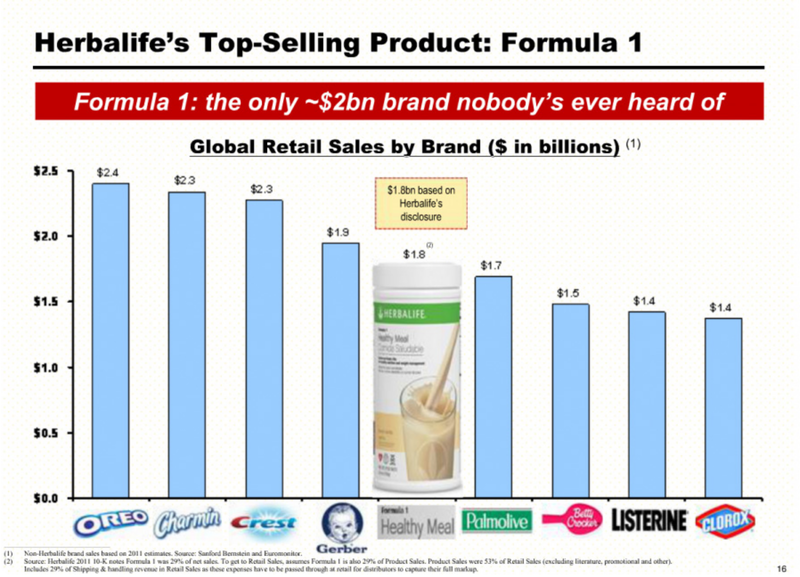 Herbalife products may be overpriced compared to generic competition - but the amount that they are overpriced is relatively small. Amway is ludicrous - just look at this link. And for the life of me I can't work out how "community" adds value to "washing powder". This is obvious for dieting, cosmetics, and cooking equipment. Now we have hired. Thanks for your interest. We are a small, fairly rapidly growing hedge fund with a good record and very few staff. More precisely we are a long-value equity fund with an esoteric and successful short book on the side. Our record is well into the top-decile for hedge funds globally – and we intend on keeping it there. We are idea driven and risk-management obsessed. We are happier hiring outside the traditional hiring loop. A science background with genuine interest in investment for instance is preferred over investment experience. Some unconventional combinations (computer science and criminology for instance) will be looked on favorably. Most - but not all of the work will be directed to identifying short-sale candidates however an interest in more conventional value investing would be useful too. Our short book involves mass diversification of frauds, fads and failures with an emphasis on frauds. We are looking for one (and maybe more than one) analyst to be based in Bondi Junction (Sydney) Australia. One hire must have high-level computer skills. If we fill that position we may select a second person on a broader skill set. Our work place is intellectual, playful, casual. A core job requirement is to be able to tell us when we are wrong. We are not looking for sycophants - telling us what we want to hear is of no use if it is not telling us what makes money. There are other organizations where being political pays but this is not one of them. You will need to be self-motivated. Hours can and will be long, but clothing casual and if you want to come into work late because the surf is good that will sometimes be OK. Performance and output matters considerably more than face time. We expect that a successful applicant will eventually be an equity participant in the business. As we run a global fund from Sydney a successful applicant can expect some international travel. Our main requirement is for an analyst who is really interested in the stock market and has well developed skills in data management and computer systems development. We aim to develop some very large data sets which will help us identify likely candidates for short-selling globally. We already identify literally hundreds of short-candidates annually and we are currently short over 100 names. The computerisation of this process is our main medium term task. Much of our edge is in knowing what sort of attributes are indications of fraud or weak performance. It is this high level filtering and screening that we need to automate on the short side at this time. This will involve large data bases of relatively low frequency (daily or even monthly close, not ticks) but high granularity (every item on the financial statement, outstanding option positions, cost of borrow, short interest and availability). Programming skills are a requirement. Experience with technology that allows structured queries and searches on datasets (financial and non-financial) are a major advantage. A working interest in epistemology is also useful. Applications by email via the blog email brontecapital@gmail.com - or through our website - www.brontecapital.com. PS. This post will be removed when we have found the right candidate. I have no intention of being inundated with CVs forever. PPS. I have not taken advice on Australian immigration law but my understanding is that the law requires that I actively try to recruit an Australian and - failing that - I may open the offer up more widely. This is the path that I am taking anyway (pending contrary advice). Remote work is possible - but personally I have been unsuccessful in the past trying to manage it - so it is unlikely. Mostly at Bronte we short frauds or promotes. Stuff where the management says X but X is not true. Sometimes X is a stretch (a stretch made by promotional management). Sometimes X is patently false. Either way we can describe what we do. We find things where the market is deliberately misinformed and hence comes up with inaccurate prices. We think (on reasonable grounds) that we are smarter than a deliberately misinformed market - and we often are. We can answer the question "what is it that we see that others do not?" In a valuation short we are working on the same information as everyone else has. This makes me uncomfortable. There is an arrogance in suggesting we can analyse the information better than anyone else. We find it harder to answer the question of what we see when others don't and hence harder to justify the position at all. I think this is the explanation for the cliché in short-selling circles that shorting valuation is a poor game. Anyway - I am uncomfortable because I can't describe my informational edge and I don't like thinking I am smarter than other people (as opposed to better informed than other people).